TMJ is the common term for temporomandibular joint disorder that occurs when your bite is out of alignment. The temporomandibular joint acts as a hinge and enables us to bite and chew food. It is capable of both a rotating and sliding motion. TMJ symptoms are wide-ranging from clicking in the joint to very serious jaw pain, muscle spasms, soreness, and severe headaches. Sometimes a TMJ patient may not even be able to open or close their mouth sufficiently. 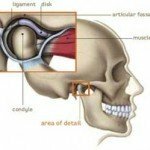 In the dentistry field, technically there is not a specialization for TMJ. Therefore, most TMJ dentists are actually general dentists, just like Dr. James Smigielski.